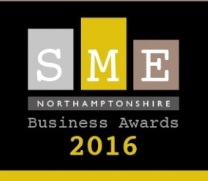 We are sponsoring this years Northamptonshire SME Business Awards. Velocity are absolutely delighted to be supporting the Northamptonshire SME Business Awards 2016, to recognise and showcase the talent pool of businesses we have across our region. Velocity Growth Hub is the regions business support service, offering support, mentoring and advice to small to medium sized businesses throughout our region, provided by South East Midlands Local Enterprise Partnership (SEMLEP) so have seen for ourselves the exceptional standard we have in our region for business innovation. The awards are open from the 12th April 2016 for all businesses based in Northamptonshire, who started in business before January 2014 and are free to apply. Entrants must be sole traders or have less than 250 employees at the time of entering. For more details of the awards, click here. We’ll be very excited to meet and celebrate with the businesses recognised in these awards for your hard work and enterprise on the night – Good luck to you all!